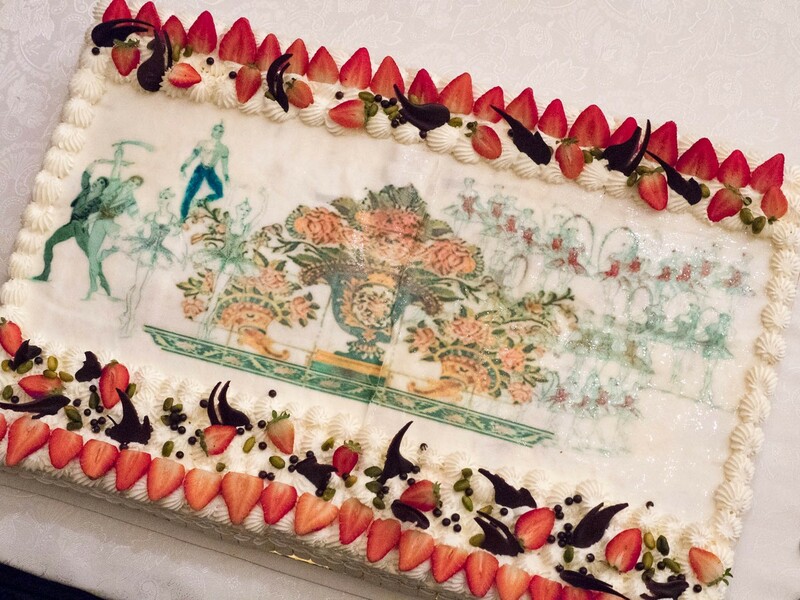 The Amici della Scala association (Friends of La Scala) are always ready to celebrate: maybe it’s a question and answer session with Antonio Pappano, a talk by Placido Domingo, a presentation of one of the association’s newly published books (they have an extensive collection) – whatever, evenings always finish with an upheld glass and the cutting of a cake. The occasion this week was to celebrate the successful new production of the ballet Le Corsaire, designed by Luisa Spinatelli. 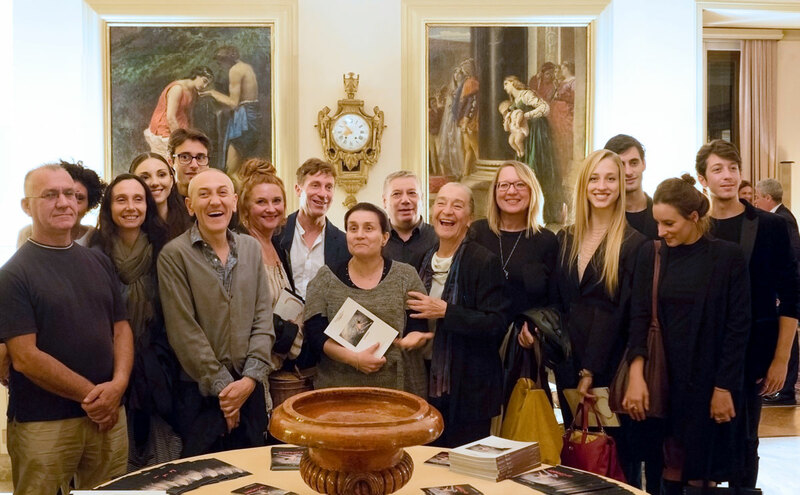 In the picture above has Spinatelli holding the arm of her long-time assistant, Monia Torchia, together with costumiers, set builders and prop makers from La Scala. Spinatelli taught theatre design for many years at the Brera Academy – one of Italy’s oldest art schools, founded in 1776 by Maria Theresa of Austria – and many of those surrounding her are former students. The dancers in the photo are Martina Arduino, Marco Agostino, Virna Toppi, Nicola Del Freo and Mattia Semperboni. Many years of teaching while maintaining an impressive international career makes Luisa Spinatelli a natural raconteur and she entertained with backstage tales, as well as the very real problems of getting a show onstage today. Expert tutu-makers are apparently increasingly difficult to find; balancing the various weights of cotton and silk tulle makes the difference between a tutu that dances or one that droops; studying the lifts in the choreography and organising decorative features around that saves continual repairs and a dance partner’s hands; collaborating with the lighting designer is essential to avoid eradicating the hard work of carefully juxtaposing colour and texture in the costumes; listening to the preoccupations of a dancer about the line, length and volume of a costume or wig allows them to enter the stage with confidence — many were the observations. She should write a book. It is delightful to see a gathering of onstage and offstage workers, artists who dance with their bodies or create with their hands, at a separate event away from the theatre, not at an aftershow party backstage. As always, the President of Amici della Scala, the indefatigable Anna Crespi, was the gracious and generous host.